Burn the Posh Pot indoors or out, with lasting relaxing fragrances. 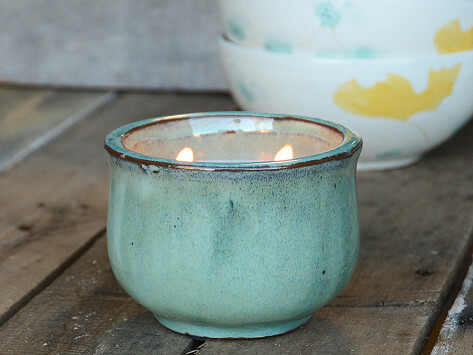 Once your candle has burned through, reuse the one-of-a-kind clay pot as a functional or decorative pottery piece. Dimensions: 4.25" D x 3.5"
My whole house smelled good. Nice color and mild fragrance.